When Boston sent defenseman Dougie Hamilton to the Calgary Flames, the final piece of the trade was the 52nd overall pick in the 2015 NHL Draft. 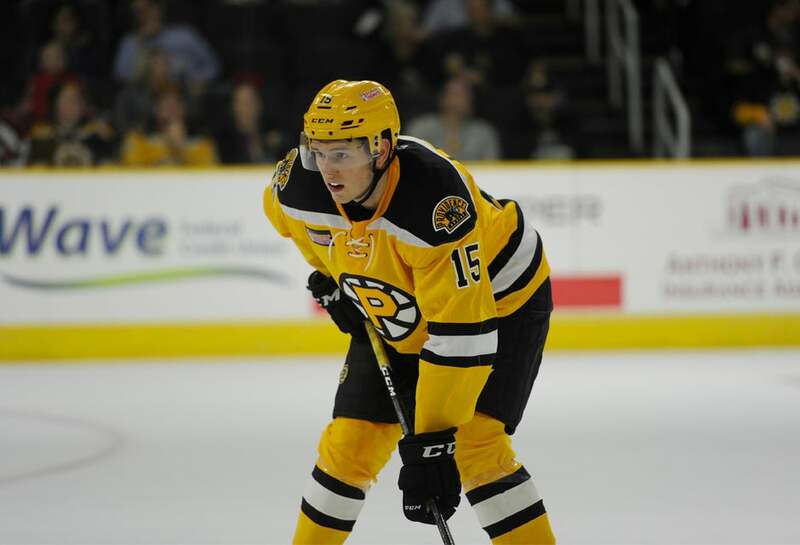 With that selection, the Bruins took Jeremy Lauzon out of the QMJHL who began his professional career with Providence in 2017. Lauzon was captain for the Rouyn-Noranda Huskies before joining the P-Bruins for their 2017 Calder Cup Playoff run. He never skated during the postseason due to injury however and made his pro debut during the 2017-18 season. Lauzon got off to a great start for Providence despite not putting up great offensive numbers. 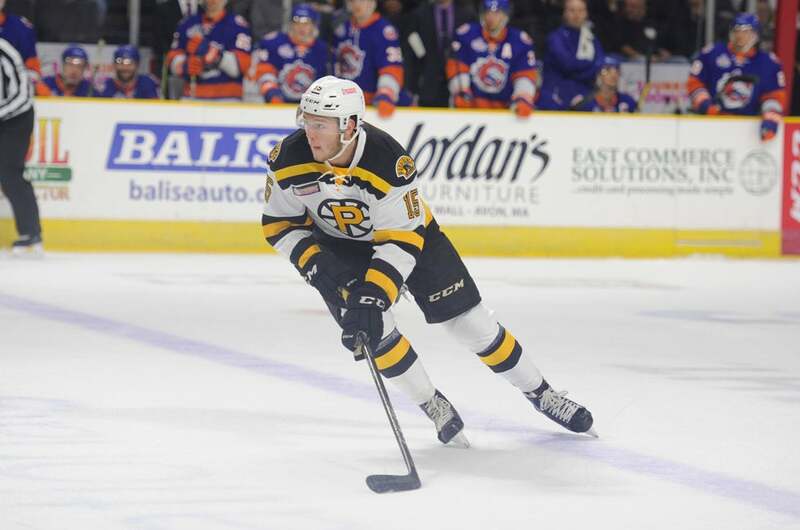 Known as physical player, he showed off his hard hitting ability and big body along the blue line for the P-Bruins throughout the opening months of the season. Through 15 games he had a plus-eight rating and was among the top rookie defensemen in the AHL in that category. Opponents felt his presence on the ice and although he only had two assists was making an impact on games he played in. Unfortunately, as has been the case in recent seasons for Lauzon, the rookie suffered an injury that derailed his season. He had to be sidelined with a concussion and missed almost two months with the injury, not returning until the end of January. Upon returning to action, he had a tough time picking up where he left off. He experienced his first rookie struggles from February until the end of March with a rating of minus-nine and just four points over 31 games. He started to regain his form a bit at the end of the season and finished the year with a goal and six assists for seven points with a plus-one rating. Another year of experience will do Lauzon well at the AHL level as he looks to refine his craft. In the QMJHL he showed that he can produce offensively with 130 points in 200 career games, so as he relaxes a bit in the AHL there is hope that the offense translates into the pros. Still just 21 years of age, there is plenty to like about Lauzon’s game when he is healthy. 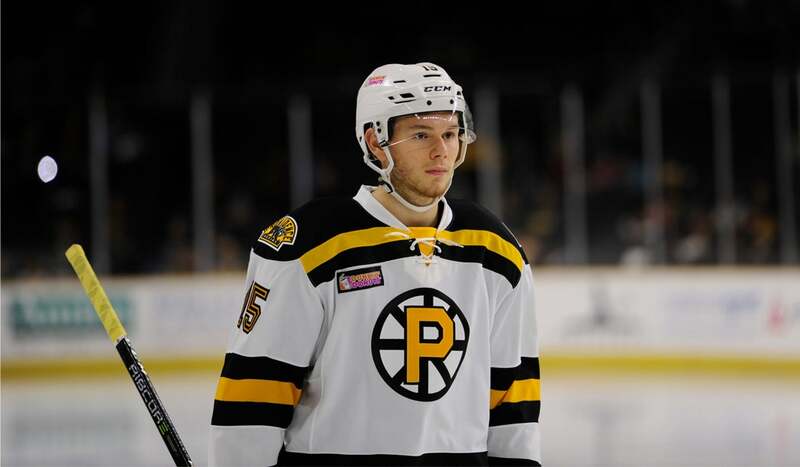 Through his ups and downs he never backed away from anyone and remained a physical force for the P-Bruins. His role with the team will grow in 2018-19 as he likely will be in the team’s top two pairings on a nightly basis and be relied upon as a shutdown defender. Lauzon will continue to compete hard and though he will almost certainly start with Providence, a strong start combined with more familiarity to the pros could see him among Boston’s top call-up options if there’s an injury on the left side of their defense.